Mallika Sarabhai is a Gujarat-based activist, development worker, social entrepreneur and performer working to bring forth ideas, issues and concerns to affect change. A multifaceted individual, she celebrates positive reaffirmation of images of womanhood. She has used every medium-dance, theatre, television, film, writing and publishing-for her work, winning recognition in India and abroad. Born in Bombay, India in 1951, Satyasheelji possessed from the beginning the capacity to reproduce the music of the great masters. The great masters of the time frequented his house to confer with his father, the eminent musicologist Pandit Vamanrao Deshpande. 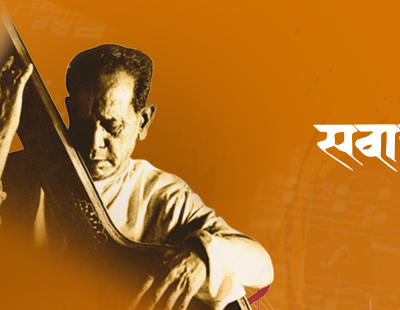 Satyasheelji thus grew up surrounded by stalwarts like Pandit Bhimsen Joshi, Padmabhushan Mogubai Kurdikar, Pandit Vasantrao Deshpande and most importantly Pandit Kumar Gandharva , who was later to become his chief guru and mentor. Ram Narayan's name is synonymous with that of the sarangi. Its practitioners found an easy way out simply exchanged it for vocal chords and even become extremely successful vocalists some of whom are Ustad Bade Ghulam Ali, Ustad Amir Khan, etc. In the hierarchy of instruments it remained at the bottom because of the secondary role it played in a vocal presentation. This situation did nothing to attract enterprising players they were generally content with their lot, did not expect to do any better and made no effort to study and improve their art. A star, Smt Girija Devi was born on 8th May 1929 in Varanasi. From her childhood she was devoted to music. At the age of Five she started learning music from Late Pt. Sarju Prasad Misra and from Late Sri Chan Misra. She learnt both Shastriya and Upshastriya Sangeet. Two melodies traditiojnal gayaki ang, Saniya Gharana and Benaras Gharana can be found in her gayaki. In Shatriya sangeet, she sings Dhrupad, Kheyal, Tappa, Tarana, Sadara, Thumri and many others. She did specify research in Thumri. In this she pays similar attention to literature and music. Ronu Majumdar is a noted flautist in the Hindustani Classical Music tradition. Born in Varanasi on June 20, 1963, Ranendranath Majumdar, popularly known as Ronu was trained under his father, Dr. Bhanu Majumdar, and later learned vocal music with the late Pt. Laxman Prasad Jaipurwale at whose behest he reverted to the flute. Pandit Vijay Raghav Rao, a music scholar, groomed Ronu into a concert flautist. Ghulam Husnain Khan, popularly known as Raja Miyan was born in an illustrious family of tradition musicians of the Agra Gharana, which has given India such doyens as Aftab-e-Mausiqui Ustad Faiyaz Khan, Ustad Vilayat Hussain Khan, Ustad Khadim Hussain Khanand many others. Son of Late Ustad Anwar Hussain Khan, another famous ustad of the gharana who was well known for his skillful rendering of rare ragas, Raja Miyan inherited a remarkable understanding of music.